LOCATION: Kannabe; 30km from Kinosaki Onsen. Accessible by train (Ebara Sta.) and bus. The climate and culture of Kannabe plateau, whose colors change vibrantly over the four seasons, look very similar to the State of North Carolina in the US. In Western North Carolina, the highest peak of mountains are called the“Blue Ridge Mountains". The name of our hotel “Blue Ridge” came from the ridge line of those mountains. 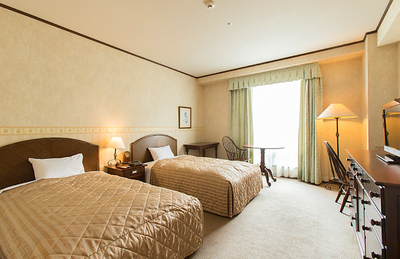 The rooms are all equipped with chic furniture that was imported from the United States. They create a magical atmosphere of calmness and peace. 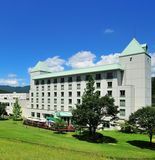 The windows are large enough to enjoy the sunshine and the views of the Kannabe plateau. We cordially serve you with cuisine that is made with seasonal and local crops and ingredients in an all-you-can-eat style.